Blue, the spotted blue puppy who stars in the preschool television series Blue's Clues, traditionally does not speak but communicates by leaving "clues" instead. 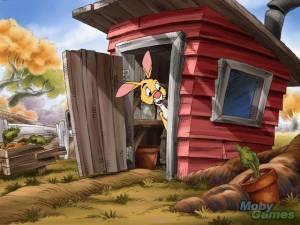 When her paper-cutout character enters Blue's Room, however, she becomes 3-dimensional and furry and gains the ability to speak. 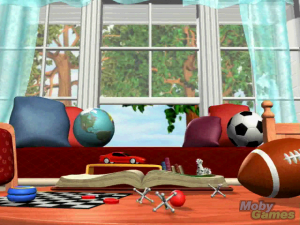 In this addition to the Blue's Clues series she serves as the playdate host as the player moves around her room full of games and animating hotspots. 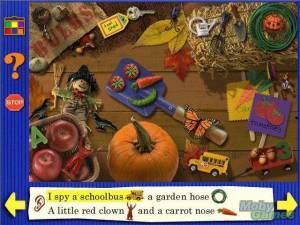 As in Blue's Clues Preschool, after choosing a picture to bookmark his game the player is asked to select some things that will be used to personalize the game; favorite color, favorite food, and birthday. Everything is done by pointing and clicking the mouse except for Polka Dot's Puzzle, which requires a minimal amount of dragging. 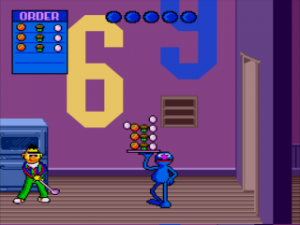 Each game is introduced by a different character:In the kitchen, Fred talks about her birthday, and as she uses big words, the player points them out in a dictionary and finds the item being referred to somewhere in the scene. Boogie Woogie the jukebox and Roar E. Saurus invite the player to join them in a game of freeze-dance. The player assists by clicking on Roar E. Saurus whenever the jukebox says "Boogie!" 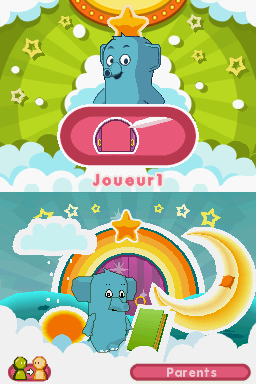 From the Dress Up Chest, the player can pick a story for Blue to read aloud, and then choose from various options to fill in the story and create a picture for it. Doodleboard draws a picture, and Polka Dots will describe something he spots in it and ask the player to find it. 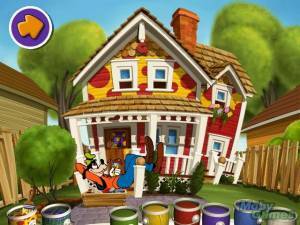 Once found, the player can click on a color to paint it. In a listening game, Doodleboard gives a quick clue about what he is drawing and then asks the player to pick the picture he thinks it is going to be. After each game is played, Polka Dots pops out of a little door somewhere in the scene; when the player clicks on him he receives a puzzle piece. The finished puzzle can be printed out. Although he doesn't introduce a game, there is another character to click on - Silly Seat - an overstuffed armchair with an arsenal of knock-knock jokes.There are a number of printables and activities accessible from the sign-in screen, including making a joke book, creating flipbooks, making a concentration game, printing out Doodleboard and finishing the drawings, printing the I Spot pictures, and making costumes from Dress Up Chest's stories. The game manual itself has four coloring pages and a connect-the-dots picture to complete.